We live in a time & age of instant things, instant messaging, instant noodles & even instant pounded yam from yam flour. Paradoxically, increasingly less effort is required to do most things these days; our world has transitioned from driving manual cars to driving automatic cars initially designed for one legged handicapped people with powered utility ranging from powered steering to powered window winding. This highlights the pathological “SOFT WORK” mentality plaguing this generation. Our minds are being slowly recalibrated by entertainment media amongst other things from the upbringing that emphasises hard work to a disposition that is embodied by the slogan “soft work”. Falz, Folarin Falana, son of the law magnate & business mogul, Senior Advocate of Nigeria (SAN) Femi Falana released a hit song in 2016 which brought the “soft work” slogan on to the Nigerian scene. If it were to end purely as a feel good song for good times that would have been okay, however it ironically seems to be contributing to eroding the “hard” from the work & replacing it with “soft”, an effect I believe he never envisioned. This is indeed a great injustice of nature being that Falz is a potential heir to Femi Falana’s estate, at the very least some of it, if not all of it. Hence he can afford to “soft work”, he belongs to the elite class who could afford to do little or no work till their dying day. This “soft work” slogan is fast becoming a neoplastic malignant mantra for a rapidly emerging & multiplying generation of laziness who are yet unaware that unlike Falz, they cannot afford to “soft work”, they would have to put in good old hard work with a healthy sprinkling of prayers to the Almighty to achieve their dreams & aspirations. Growing up, on sensing any intent to shirk responsibility, to obviate tasks and to grumble over chores my dad would be quick to remind me of the saying “hard work doesn’t kill”, whether this is absolutely true or not, one cannot deny the unadulterated wisdom in it. Of course, hard workin the presence of good rest & adequate nutrition & the absence of illness only makes one stronger. “Nothing comes easy,” they say & I couldn’t agree more, even software engineers & developers put in tremendous hard work in software production, so there is just no escaping this hard work for those of us that would have to work for the things we get in life. 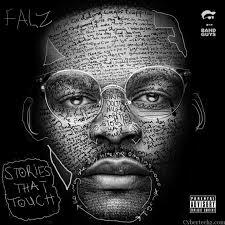 Falz is entitled, entitled to more wealth than many Nigerian families put together in their lifetime would ever see cumulatively. Falz is a barrister with a law degree from the University of Reading, an extension of Oxford, who would enjoy the music scene, possibly try out movies & acting & when he gets bored with entertainment & the law beckons he would go to take over from his father. Even if he were to decide not to work for his father, the top law firms in the country will be falling over themselves in the scramble to get such a prestigious name with celebrity status in their employ. If he were to entertain ideas of starting his own practice, he could access the family wealth for that & most certainly wouldn’t have trouble getting more than enough loan from banks, his name & celebrity status would ensure his practice a healthy dose of clientele. How many “soft work” chanting people can say that much for themselves? Imagine that our mothers went into the labour rooms taking selfies with pouty lips while chanting “soft work”, a lot of us wouldn’t be where we are today or we would have suffered cerebral palsy, brain damage from foetal distress. Even the elite, are not spared regarding this “soft work” anomaly that bedevils our time. The “Oga at the top” with the private jet, designated drivers standing by for him in the different cities he frequents the world over, with the swivel chair & powered home & office utility such that he doesn’t even have to to get up to part the curtains if he wishes to enjoy the view of the sunset is not spared. He may be working “hard” but alas! Such hard work is sedentary & isn’t without its own consequences, consequently, he is barely 55years of age & he has already acquired the services of a designated cardiologist on standby just a jet or helicopter ride away from him in the event of a cardiovascular emergency. Our minds may not react too adversely to “soft work”, however our bodies were not built for such persistent luxuries, it needs a healthy amount of physical “hard work” to stay in good shape, to keep the cholesterol present in the meat & the meals we so enjoy from clogging our arteries & keep a cardiac arrest or a stroke at bay. This is the month of May, and in this month we celebrate Labour day; a day of rest for the workers, I would like us to stop and reflect on the way and manner in which we have been working as a people. Evaluate the grounds covered & how much more there is to be covered, the goals achieved, those yet to be, those that never will be & those that need modifications either because they were too small or unreasonable. Set reasonable goals people, work hard for them; put your faith in God as you beseech the Creator while you wait with your rake in hand to rake in your successes. This article was written by Tayo Odeyemi. He is a freelance writer whose niche is social commentary, with written works that appeal to the intellect and conscience of man. He resides in Abuja, Nigeria. He can be reached on facebook at https://web.facebook.com/tyodeyemi. Read his Previous article HERE. MEN ARE NOT ATTRACTED TO SLIM LADIES? This is a well written heartfelt article. God bless you Tayo for this. Yes it is. Tayo did a great job. Thank you for reading & sharing your thoughts.